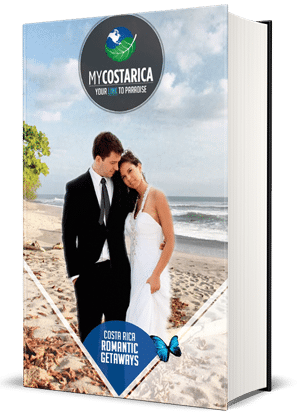 "See the romantic side of Costa Rica with your free Romance Travel Guide"
What’s inside the Costa Rica Romantic Vacations Guide? 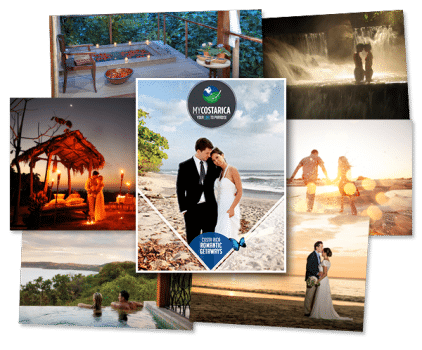 Inside you will find helpful advice on how to choose your perfect Costa Rica Romantic Vacations. Whether you are celebrating an anniversary, Proposal, Honeymoon or just want to get closer to each other. We can help with every detail of your trip. Decide the best things to do and most romantic locations. Whatever it is you need for your vacation we will be there for you. Costa Rica is the perfect destination for a romance getaway. We will recommend the most luxurious accommodation for your Costa Rica Romantic Vacations. Stay right near a volcano or even at a beach front hotel. Or maybe go to the most secluded cabins and luxury lodges for the utmost privacy. It might be hard to find something you can do together but we have found all the greatest tours. For example a beautiful catamaran ride through the coast. Or take a cultural coffee tour. Maybe you just want to relax at the beach. Fortunately, Costa Rica holds so many of the best beaches in the world.